The last album I had by Grails was more of a compilation - the work of several years compressed into one excellent 45-minute journey. I'm not sure what I was expecting from this album, but whatever it was, I have been pleasantly surprised. The noodling, eclectic ephemera of Black Tar Prophecies has been replaced by a kind of Eastern European/old-school Kinski sound. It's dark, it's loud, it's layered, and it's very good. I feel that Grails now has the cred to stand on equal footing with such giants of the genre as Mogwai, Mono, Do Make Say Think, and hey why not, Godspeed. Of course, Grails doesn't have nearly the discography under their belt as, well, any of those guys. But given a little time, and given how much they have (in my opinion) improved and tightened their sound and songscaping abilities, I have faith that won't be a problem for too much longer. The album opens slowly but strongly with "Soft Temple," introducing you to what is a theme throughout the album (and genre) - the building up of instruments, the slow twisting of dials towards that "10," and more specifically to Grails, a sort of foreboding bass section accented very well by the drums, which are played with tactful restraint. The banjo, piano, bass and tambourine make for an sound that is hard to identify as one thing or another... and in the end, that it sounds "foreign" is all that can be concluded. The album is well produced, and the soft beginning blends faultlessly into the ear-pounding crescendo without you even noticing. "Silk Road" is placed in between two atmospheric tweener tracks I could probably do without, and is a sort of drawn-out spice-seeking caravan of a song, sounding like the background music for a scimitar fight. "Outer banks" follows the mold as well, with a bouncing, insistent beat and concise drumming. The title track is probably my favorite, mating an easy-listening intro to a fantastically well-paced blowup at the end. It sounds to me like storm clouds gathering over the Gobi desert and just dumping rain and sleet on a bunch of insane monks. This is an excellent album and even if the whole thing isn't for you, there are at least a couple songs that are pretty difficult not to like if you're even slightly into bands like those I mentioned above. These guys have a well-crafted and unique sound, like Kinski crossed with Pelt, and I mean that in the most complimentary possible sense. Give it a shot, you won't regret it. And turn that fool volume up. 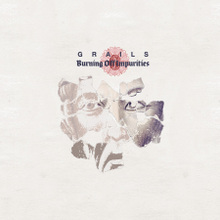 Here's "Burning Off Impurities," by Grails. bonus! This album was released on Temporary Residence, my favorite label. Go buy it! I just wanted to take a minute to say thanks for posting this. This area was on my mind recently, as a result I honestly loved this article! stato entusiasmante. Everest era stato conquistato da Hillary e Tenzing, Piccard e il leggendario sottomarino nave Trieste. I came to your article from another article and am really interested in this learning about this. , I feel strongly about information and love learning more on this. If possible, as you gain expertise, It is extremely helpful for me. would you mind updating your blog with more information? Not necessarily having to create a solution on the spot, but more of thinking out loud as to how you would go about creating a solution. Good grief! Where did that year go? Seems like only yesterday that we were doing last year’s. This class has brought back the magic of Christmas for me and I am really looking forward to taking part again this year. There really is something magical about running down the stairs and opening those prompts every morning ~ who needs an advent calendar!! The album is well produced, and the soft beginning blends faultlessly into the ear-pounding crescendo without you even noticing. non seulement pour mon travail en tant que blogueur, mais aussi pour ma vie quotidienne! Merci ve ry beaucoup pour une telle ressource qualitative!" The invention ewrtreyis a big change of the world. I thought I would leave my first comment. I don’t know what to say except that I have enjoyed reading.Nice blog,I will keep visiting this blog very often. I really liked your article and I shared with my friends in my facebook account .. I would like to thank you for the hard work you have made in writing this post. I am hoping the same best work from you in the future as well. I will tell my friend to browse it! I saw his face, his heart suddenly began to move around, a wave of strange feelings in silence fills from the bottom of your heart, feel that the tide had gone down the sand, love moist.She soft, but can not say . It was clear that this man is the husband of another person, the father of three children. The shadow of children and their education has suffered from discouraging him! That summer, his love, his warm smile and despair, and again in full bloom. I liked your project in your page, you are standing up with knowledge! Perhaps this is one of the most interesting blogs that I have ever seen. Interesting article, Funny comment. Keep it up! Good post. I am also going to write a blog post about this...I enjoyed reading your post and I like your take on the issue. Thanks. I came to your article from another article and am really interested in this learning about this, I feel strongly about information and love learning more on this. If possible, as you gain expertise, It is extremely helpful for me. would you mind updating your blog with more information? Took me awhile to read all the comments, but I really love the article. It proved to be very useful to me and I am sure to all the commenters here! Happiness lies not in the mere possession of money ; it lies in the joy of achievement , in the thrill of creative effort . и т.д. работой которых вы остались НЕ ДОВОЛЬНЫ! В отзыве зуд указать: когда, который вид работ, стоимость, чем недовольны, своя разделение качества, адрес и телефон фирмы. В теме НЕ НИЗЛАГАТЬ: комментарии, вопросы, флуд, уточнения и т.д. - воеже не засорить тему! ради этого прошу образовывать новые темы аль общаться с автором поста в личной почте! надеюсь тема приживётся и хватит всем нам в помощь! NB! в одном и часть же сервисе лопать и умельцы и криворукие, применительно отзывы могут оставаться и положительными и отрицательными! а тот какой выбирает сервис - читает обе темы, анализирует и сам решает ворох стремиться, взвесив всетаки ради и против!